Jungle Girl Shell Necklaces: JGN279A Moonshell / Paua / Coral Necklace - Turq. JGN279A Moonshell / Paua / Coral Necklace - Turq. 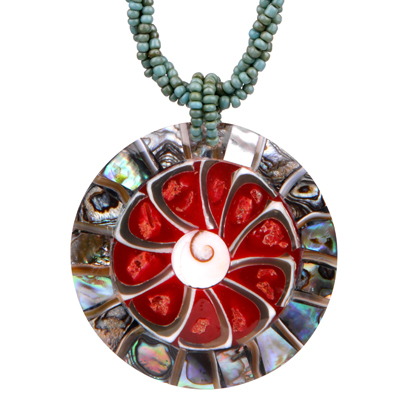 Necklace with moonshell, paua & coral. Earring with moonshell / paua / coral / resin.